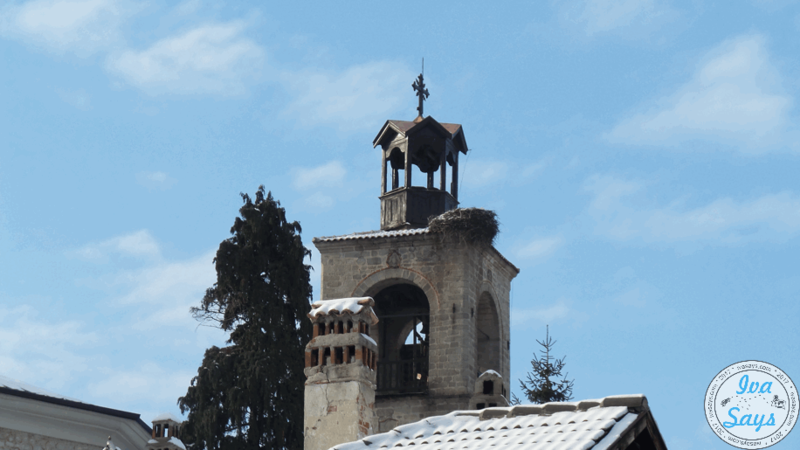 This winter I got the chance to visit Bansko, a ski resort on the Pirin Mountain in Bulgaria, and stay at the nice St. George Ski and Spa Hotel. Popularity in the Bulgarian ski resort of Bansko has been on the up rise within the last few years in the international ski community due to the cheap Eastern European prices. Bansko is the perfect winter European destination for skiers due to cheap hotel prices and affordable ski and gondola passes. Even if you don’t ski or snowboard, there are plenty of ways to enjoy the winter season. I don’t ski, but I do enjoy the snow and spa centers. And, Bansko has a lot of wellness centers to offer! The town is full of ski hotels that offer amazing spa treatments, thermal baths, winter sport activities, and overall amazing winter vacation experiences in Bulgaria. 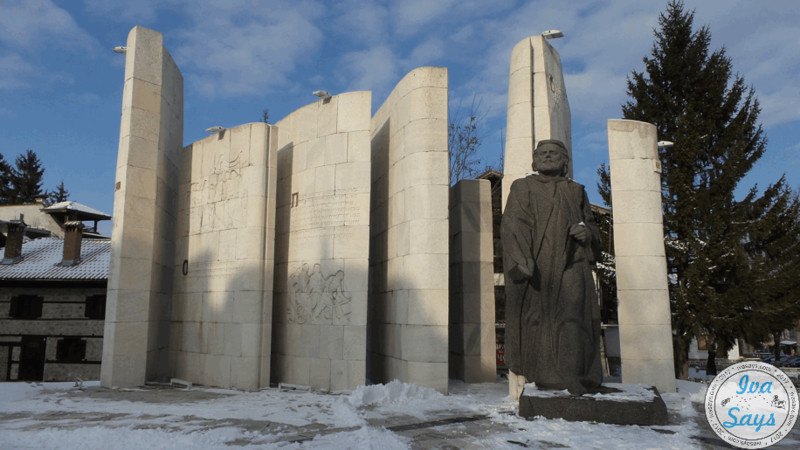 I traveled by car from Skopje and went to Sofia first as a detour to do some shopping with my friend before heading towards Bansko during a cold and snowy night. I’m not going to lie, it was a scary ride up the mountain. However, the snowplows were already on the roads clearing the streets as fast as possible. After we settled in our hotel room, had some dinner and coffee – everything seemed better. During our night stroll through the town, I felt like we stepped into a fairy tale. The town was gorgeous as it was covered in white, with snow flakes falling down, making it look like the perfect postcard image. 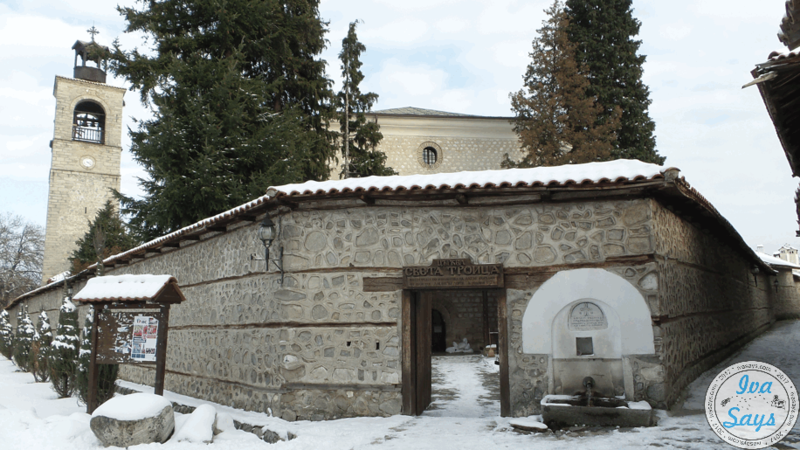 Bansko is a small town and a popular ski center in Bulgaria. 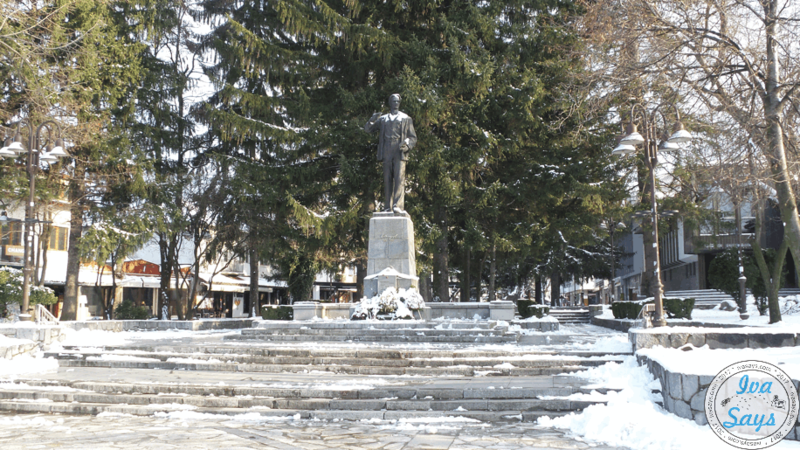 The town center of Bansko is the Old Town, where you can find historical landmarks, museums, and meyhanes – authentic, traditional Bulgarian restaurants known as “mehana” (in Bulgarian: механа, plural механи) – and a kind-of-new town near the gondola ski lift where visitors can enjoy a great time eating, partying, singing at karaoke bars, and relaxing. During the winter season, the weekends are usually packed not just with tourists, but locals as well. Plenty of people visit Bansko not just for the ski center, but for the spas in the hotels. Bulgaria is well known for its thermal baths and hot springs, so most hotels in Bansko offer some type of a spa or wellness center. The hotels in Bansko provide free parking to their guests. As we stayed in the St. George Ski and Spa Hotel (affiliate), we had a parking in front of the hotel. There are several parking lots across the town and the town center, with few streets clearly marked as no parking zones. There is a main parking lot by the Gondola and Ski Resort, for which you will have to pay 12 BGN for the entire day. The streets around the entrance to the Gondola and Bansko Ski Resort don’t allow parking, so be careful not to get your car towed. If you are staying at one of the hotels check with the reception to see if they have a free shuttle to the ski lift entrance. St. George Ski and Spa Hotel offers a free shuttle to the gondola lift and ski resort. Bansko is a ski center after all and it’s placed on the Pirin mountain. This should tell you enough when it comes to nature. The town and the mountains look majestic in the winter when they are completely white from the snow. The view in Bansko doesn’t disappoint in the summer either. The vivid greenery with the Glazne river passing through the mountains and town, you can expect lots of picturesque spots that will steal your heart. As any travel destination spot, Bansko is no short of small and large supermarkets, local antique shops, and even a shopping mall. The best of all are the really affordable prices on products compared to rest of the Western Europe. Naturally, it’s better to buy stuff from the large supermarkets. The one in the Mall Bansko it’s called Aldo, and I was very satisfied with its offer and prices. Also, there are many stores where you can buy ski and sports equipment as well as hundreds of souvenir shops. 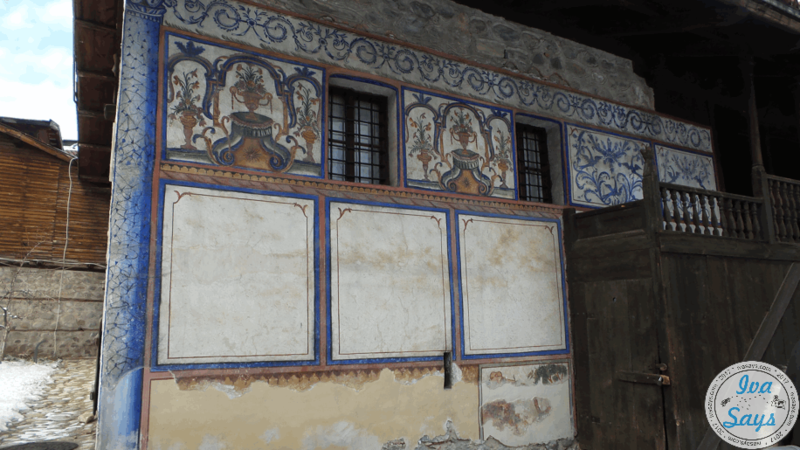 As we spent time in Bansko, our experience only improved. You really don’t need to worry about the snow and ice, since the authorities clean the roads almost instantly. The Gondola cable car works until 5 PM, so expect heavy traffic around 4:30 PM when everyone leaves the ski resort. You may want to go up with the gondola ski lift earl as it takes over 30 minutes to reach the top. For those that never been to the ski resort and want to reach the top, don’t get off at the first station. That’s a mid-and-interchange point for other ski tracks. Once you get to the top, there are few restaurants where you can get food, coffee, and warm up during your breaks. The views from the gondola ski lift are amazing! In case you’re traveling by car, you’ll need a vignette that must be placed on the windshield. The vignette allows you to use the main roads, highways, etc; consequently, there are no pay tolls. These can be purchased upon entering the country at the border. If you rent a car in Bulgaria, ask the rental agency if it’s in the car, so you don’t get a ticket. Also, in Bulgaria, you pay with Bulgarian levs and the rate is around double the euro. So, more or less, for 10 euros you’ll get a bit less than 20 BGN. Also, check the prices in the restaurants, because there were some serious differences depending on location. Restaurants and cafes are more expensive by the Gondola (Ski cable car) compared to the center of the old town. For example, we had an entire lunch for two including alcoholic drinks in a pizza place called Adela, by the center, for 23 BGN, while at another place a single pizza was around 18 BGN. 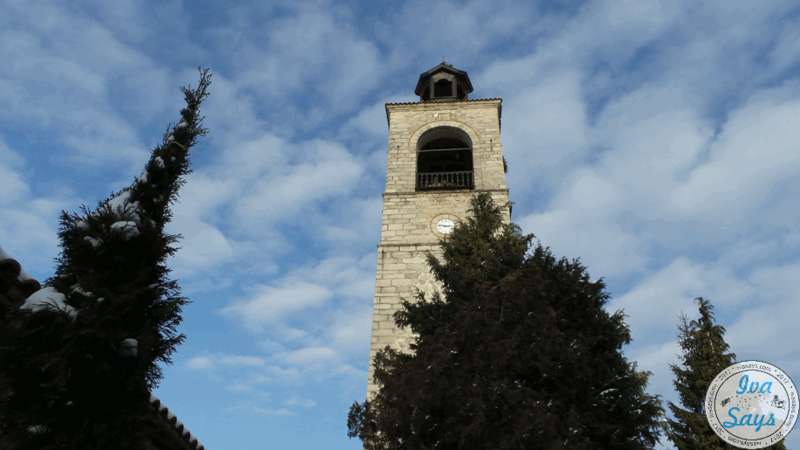 The Old Town is the heart of Bansko; this is where most of the important historical sights are as well as most of the traditional restaurants called “mehani” are located. It’s characteristic of its traditional Bulgarian houses, cobblestone roads, and narrow streets that make you feel the historical value of the place. Anyone walking around the Old Town can’t miss the Holy Trinity Church and its grandiose building. It’s popular for its historical value as well as amazing murals. 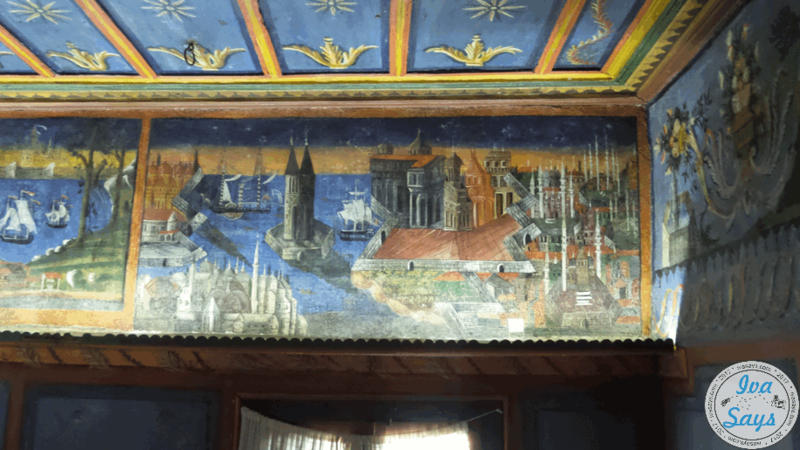 Paintings in the blue room. Enjoy a long Gondola cable car ride, witness mesmerizing views from inside of it and get to the ski center. There, you can either sip hot tea and get a snack in the restaurants or go even higher using the ski lifts. Either way, you’ll enjoy the snow, nature and overall atmosphere. I had a great time in Bulgaria; this is a spot where you can enjoy luxurious spa and wellness hotels as well as have thrilling ski adventures – for a very affordable price. There are more than enough shops for shopaholics to explore as well as affordable restaurants for foodies. Plus, there’s the charming Old Town where you can enjoy wonderful architecture and visit several museums. Most importantly, unlike other ski centers across Europe that would cost you a fortune, Bansko is a place where you can expect excellent experience for a lot less. Nice Review, i like to stay tune in this blog. Keep Update your journey ! Thank you! Subscribe to our newsletter to stay up to date. Great post! Looks quite cold.